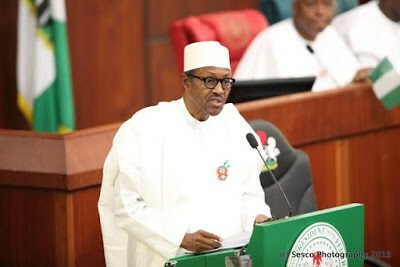 The Federal Government is developing a cash transfer programme which will include the provision of free education for science, technology and education students in tertiary institutions, President Muhammadu Buhari has said. The president announced the plan, aimed at addressing the needs of the poor and vulnerable in the society, in his 2016 budget speech at the National Assembly on Tuesday. He said: "Through the office of the vice president, we are working with various development partners to design an implementable and transparent conditional cash transfer programme for the poorest and most vulnerable. "This programme will be implemented in phases. Already, the compilation of registers of the poorest persons is on-going. "In the coming weeks, we will present the full programme, which will include our home-grown public primary school feeding and free education for science, technology and education students in our tertiary institutions. "Indeed, this will mark a historic milestone for us as a nation." The president also said the Federal Government would collaborate with states and local governments to tackle the 'chronic shortage’ of teachers in public schools across the country. He said that under the partnership, government planned to recruit, train and deploy 500,000 unemployed graduates and NCE holders to strengthen basic education, especially in rural areas. Buhari also said his administration would partner states and local governments to provide financial training and loans for market women, traders and artisans through cooperative societies. "We believe that this segment of our society is not only critical to our plan for growing small businesses, but it is also an important platform to create jobs and provide opportunities for entrepreneurs," he said. The president said that the budget proposal of N6.08 trillion was aimed at reviving the economy, delivering inclusive growth to Nigerians and creating a significant number of jobs.